This story is a gem representing the delightful stories from the Indian subcontinent which capture the simple essence of everyday life in India. The simple pleasures of life indicate a time gone by before the advent of cellphones and Facebook, a time which almost stood still, a time when children could revel in the rain, make paper boats and race them down a drain, play marbles and generally pass time. Kate Chopin is a widely considered the forerunner to the feminist authors of the twentieth century. Focusing on themes of race and gender, her short stories largely center on life in rural Louisiana. In "The Story of an Hour," Louise Mallard has just learned that her husband is dead - believed to have died during a train accident. Her family fears that the news will kill Louise, who suffers from a weak heart. It's just townspeople picking numbers for the annual lottery...why, then, is there an ominous feeling to "The Lottery"? 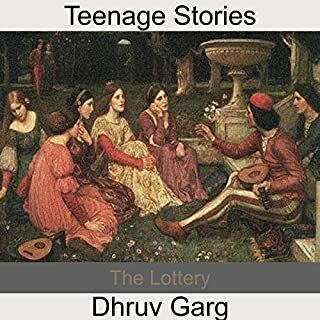 Find out just what this lottery is for, and listen to seven other unique stories. 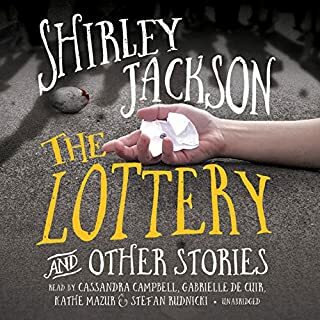 The collection reveals Jackson's remarkable range, from hilarious to horrifying, dealing with modern issues of alienation, empowerment, racism, and economic class. 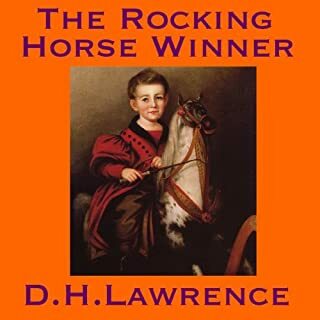 The stories are "The Lottery", "Flower Garden", "Come Dance with Me in Ireland", "Men with Their Big Shoes", "Trial by Combat", "Pillar of Salt", "Like Mother Used to Make", and "Colloquy". Of course, the Lottery is a classic. I am glad I got this chance to listen to these other short stories. I will remember some of the characters for quite some time. One negative - there is no break or pause between the short stories. 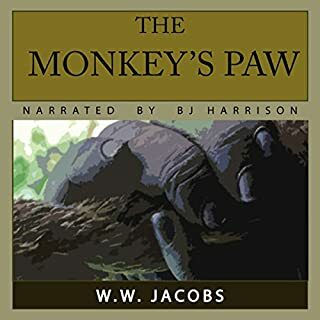 The narrator goes directly into the next story and you are left wanting some time to reflect and absorb the previous short story before you are slammed into the next one. Listening to this dated recording of these classic-yet-aging stories, one can barely imagine the furor that the original publication of the title short story endured. Readers of The New Yorker canceled subscriptions over it, and threatening hate mail arrived for months. The story was banned overseas. Now, the reader of these short stories plows through them witlessly. Her voice reminds me a bit of Cherry Jones, but her clear delivery is competent without finesse. The editing of these tapes-to-aa file is tragic, as the final, chilling line of "The Lottery" plows right in to the title of the next story without so much as a breath in between, and this happens at the end of every subsequent story as well. Without a hard copy of the book, it's extremely difficult to know when one story ends and the next begins. On a sadly comical note, several times in the file a male voice breaks in and announce "Side Three" or whatever the next flip side of the tapes (or LPs?) would be. The recording is clean for such a badly edited copy. Anyone who isn't a connoisseur of 1940-60s short stories is bound to be very bored by these delicate tales, and without an appreciation of Jackson's larger works is apt to be confused as to how they were published in the first place. I happen to have loved her books since the 1960s, and knowing a great deal of her tragic personal life fleshes out these frail tales into a bold, heartbreaking bas relief. The narrator, Carol Jordan Stewart was really quite good. She has an excellent command of nuance for each character. The stories ranged from small town horror to quiet meditations on life. 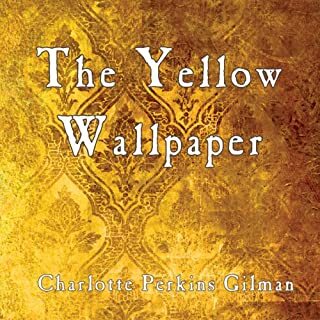 I didn't entirely relate to the quite bubbled characters in the story, but I enjoyed listening to them and their experiences around propriety or what they perceive to be propriety. A worthwhile listen! Would you try another book from Shirley Jackson and/or Carol Jordan Stewart? 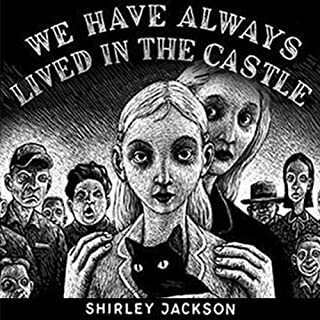 Would you be willing to try another book from Shirley Jackson? Why or why not? Is this not the same question as the last? What three words best describe Carol Jordan Stewart’s voice? 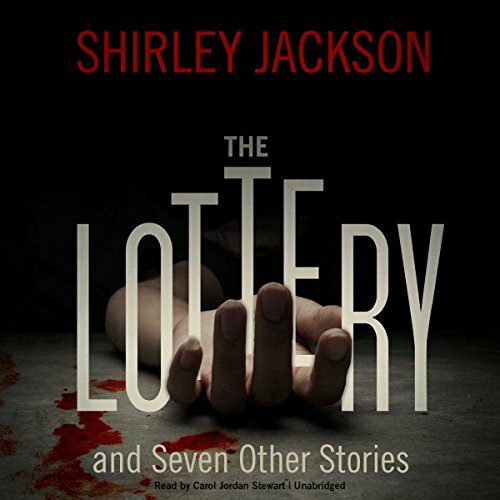 Was The Lottery and Seven Other Stories worth the listening time? I'm sure my assessment of this collection will put me at odds with a number of fans of this respected author. But it was not by bag. Pointless little slice of life stories that read like edited bits of larger works. Ever watch the deleted scenes on a DVD? This was that.